Finally a story about our health and self esteem. "I Love You LC" (ILYLC) is a new film about a plus size woman, Patty, who falls in love with a yummy guy who does not return said love. Hurt, Patty embarks on a journey of unconventional weight loss method, turning her from "yucky" to "yummy" in a matter of months. A story of transformation that truly mirror the travails of a plus sized woman. Conceptualized by Dave Aguila, founder of Low Carb and Intermittent Fasting Philipines, the largest and most interactive fastest growing online community in the country today. ILYLC is the result of Dave Aguila's realization that a film will push further the spread of the groups awareness on health transformations. That a low carb intermittent fasting is far better than taking supplements and surgery. 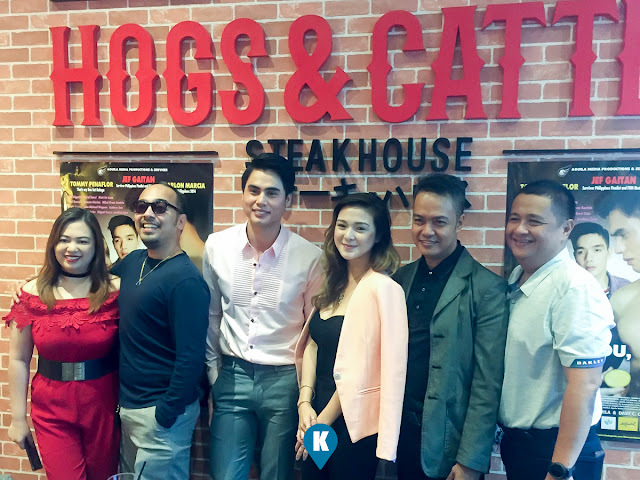 Megged by Aguila Productions and Services, the movie will be shown in local cinemas worldwide starting February 27, 2019. Written by Dave Cecilio, and directed by both Dave Aguila and Dave Cecilio. Starred herein by Jef Gaitan and Marlon Garcia.